Existing studies on sound wave propagation in rarefied gases examine sound generation by actuated boundaries subject to isothermal boundary conditions. While these conditions are simple to analyze theoretically, they are more challenging to apply in practice compared to heat-flux conditions. 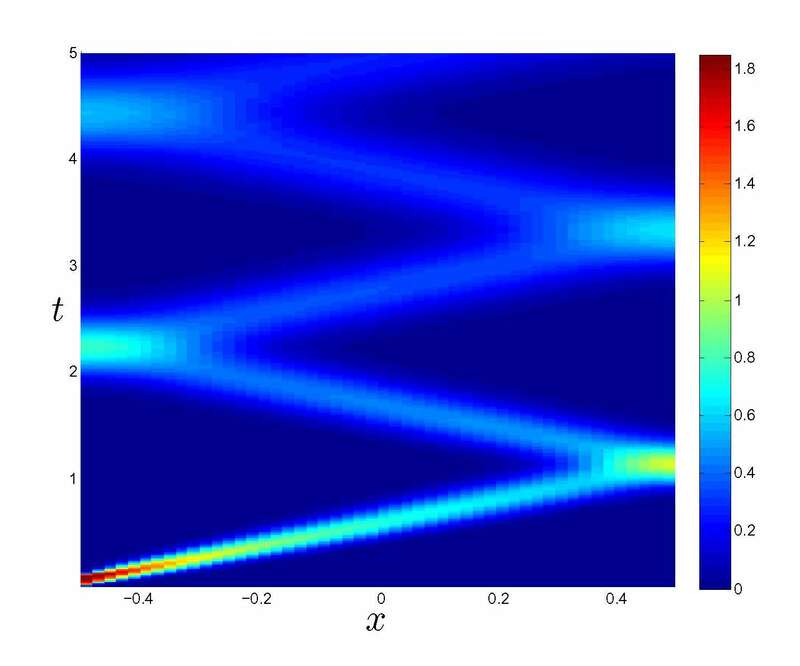 To study the effect of modifying the thermal boundary conditions, the research investigates the impact of replacing the isothermal with heat-flux conditions on propagation of acoustic waves in a microchannel. The linearized problem for an ideal gas is formulated, and the effect of heat-flux prescription is demonstrated through comparison with counterpart results for isothermal boundaries. Analytical solutions are obtained for a gas at collisionless (highly rarefied) and continuum-limit conditions, and validated through comparison with direct simulation Mote Carlo predictions. It is found that prescription of heat flux at the walls, altering the energy balance within the medium, has a significant effect on acoustic wave propagation in the gas. In particular, when optimized with respect to the boundary acoustic signal applied, the heat flux condition may be used to achieve “acoustic cloaking” of the moving wall, a much desired property in classical acoustics.